Introducing the moebius cowl that's as fun to say as it is fun to knit! You know about moebius knitting, right? A moebius strip is a mathematical concept – using a half-twist to create a form with only one side and one edge. Moebius knitting takes that mind-bending trick and plays with it. 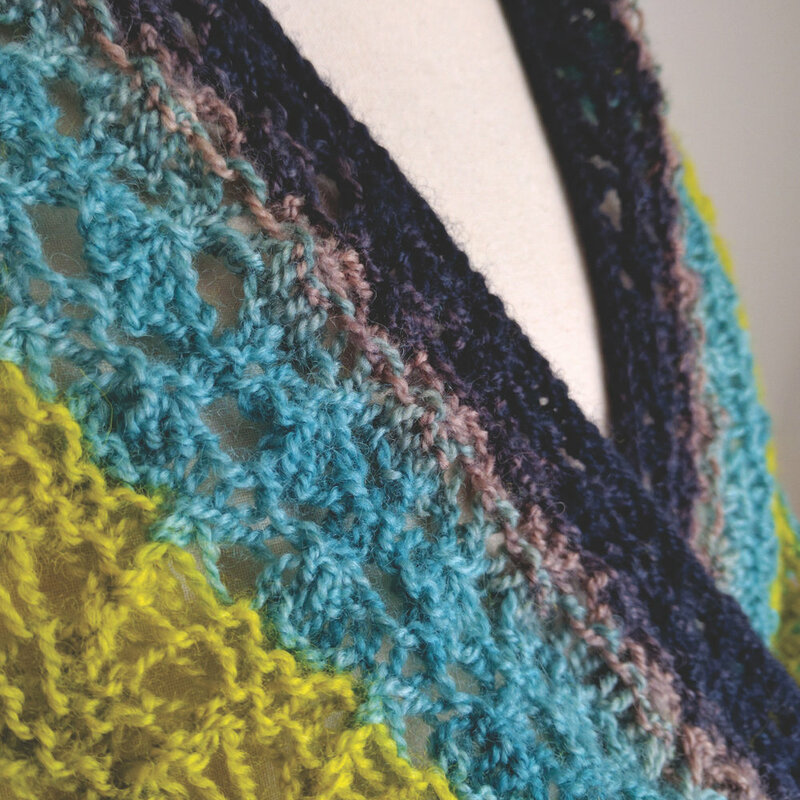 I knew from the start I wanted to design a moebius with this yarn, because of how the colours would radiate outwards. The half-twist also creates a particularly elegant drape! The kit will be for sale at the Swiss Wulle Festival this weekend – or you can order it online from woolworxx as of Monday. Stay tuned for a moebius cast-on tutorial here on the blog.